Good morning all! Tomorrow we leave for my amazing cottage so I wanted to bake a healthy breakfast ahead of time…and what’s better than the combination of cinnamon, chocolate and peanuts? Uh..Nothing! 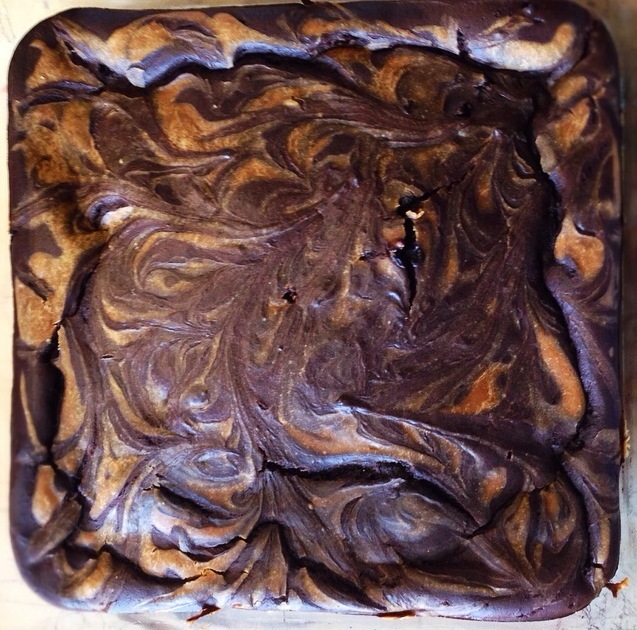 So what I did was take my original cinnamon swirl protein bars made with the amazing Trutein cinnabun protein powder, and just topped them with 30g (2 tbsp) of mini chocolate chips, baked them in a 9×9 inch pan and cut them into 9 huge squares…I may have also added a couple extra peanuts in the bars ;)…. 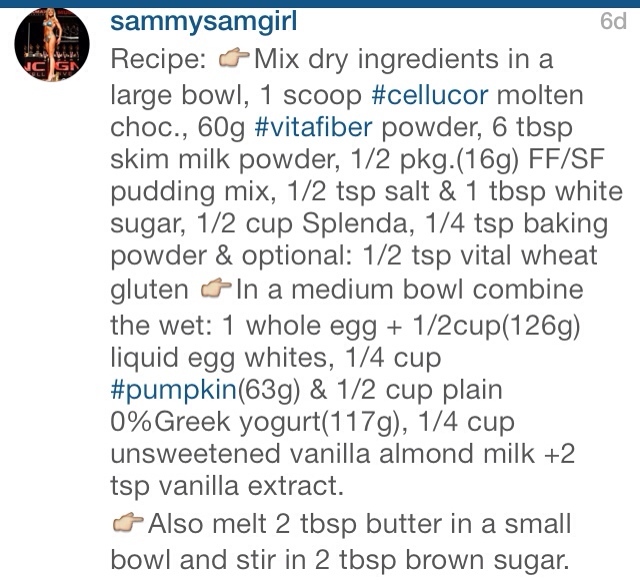 Have you hated all the recipes you have ever made with protein powder? Have they all turned out rubbery or dry and crumbly? 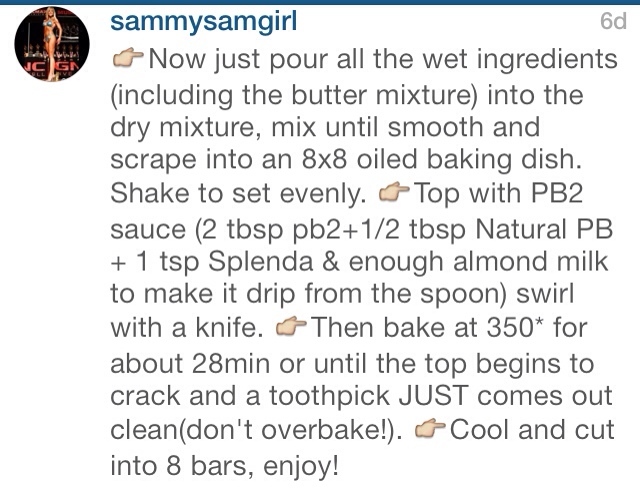 Want a protein bar recipe that is actually 100% delicious that you won’t be able to put down? One that’s moist, sweet and soft? 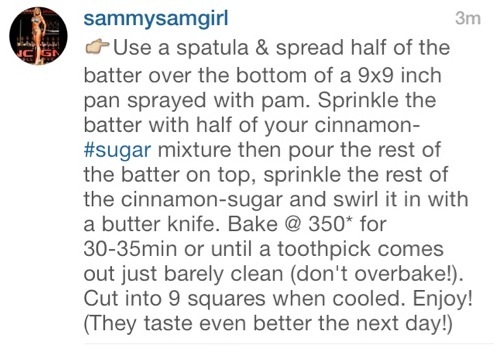 Well then look no further, this recipe is here to save the day. 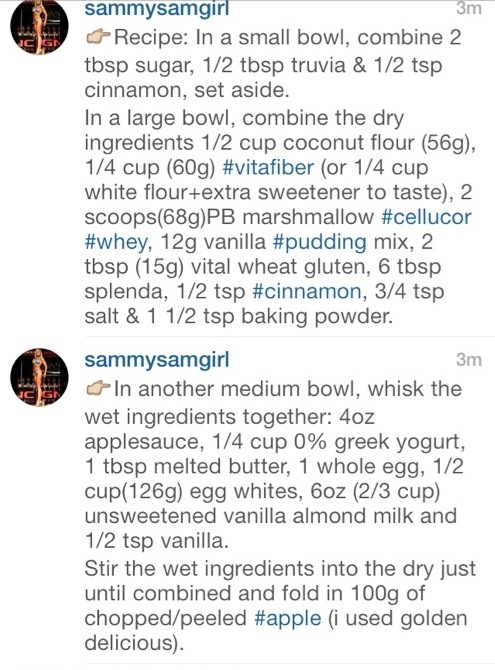 I originally learned this recipe by following Jamie Eason’s(fitness model) version but I changed them up and made them even more delicious! 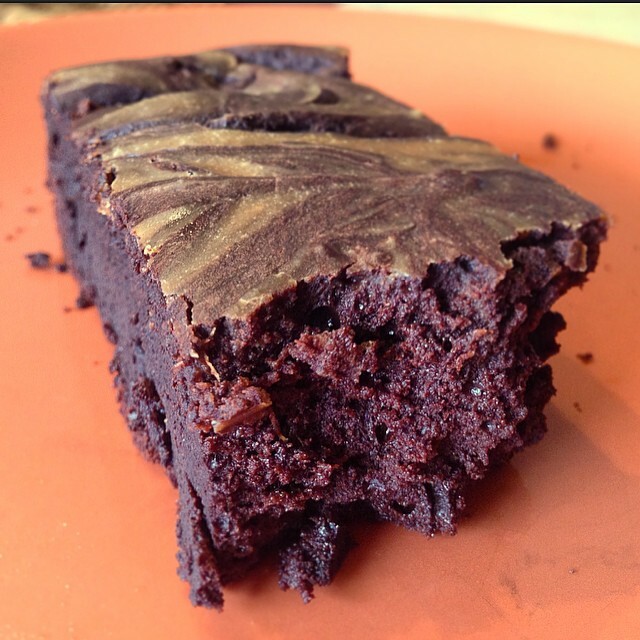 I have to tell you that I am super picky about anything I make with protein powder. I have thrown out everything I have ever baking with protein powder other than 1 or two things, this being one of them. But this is the only recipe that I have continued to make again and again because I am actually sad when they are gone and I have a hard time only eating one or two! Even my brother who hates everything healthy likes these bars. 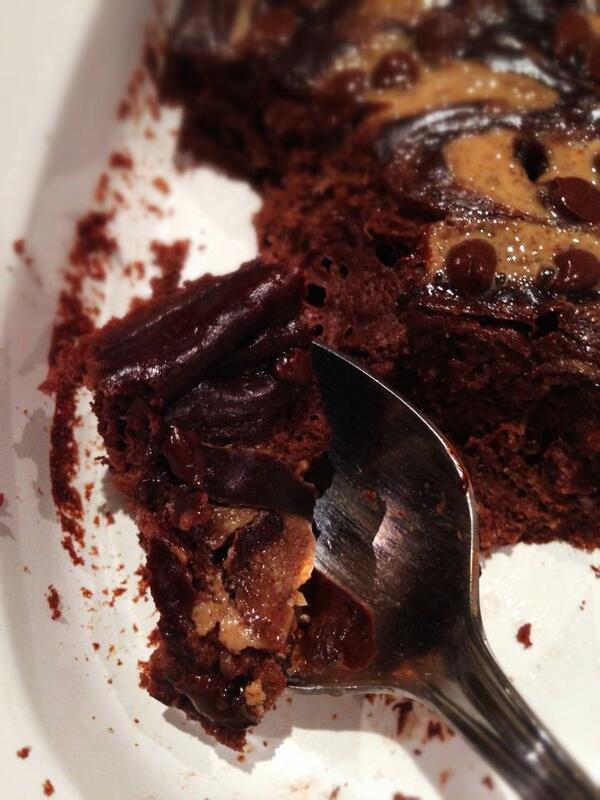 So I am telling you right now…GO MAKE THESE. You will not regret it! Take me to the recipe!